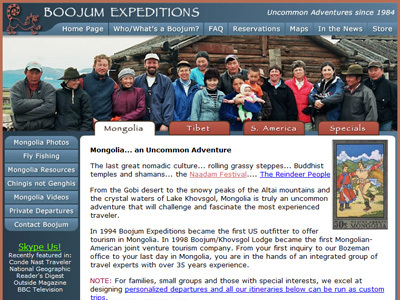 Boojum is one of the premiere travel sites that specializes in Mongolia adventures (and other places such as Patagonia, Uruguay, and Tibet). 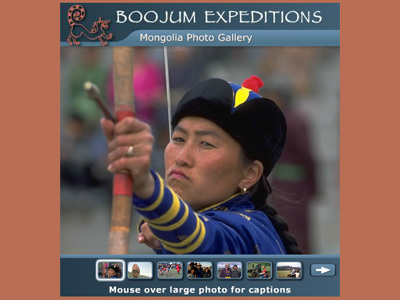 The objective with this site was to make it look good and have a very small footprint (fast to load even on slow connection speeds). 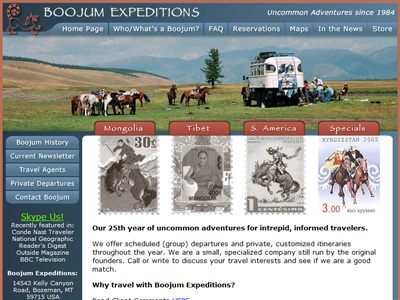 Boojum also needed this site to work with very old browsers and technologies so that people all around the world can view it. 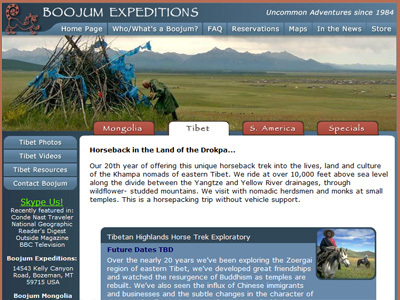 "Justin West was the ideal website design collaborator. He listened when we said we wanted a straightforward design so our staff could easily manage updating content and pictures. Justin was fast, creative and didn't try to sell us more than we needed."